Bullitt has quite a few things going for it: the coolness of Steve McQueen, the eye-candy of Jacqueline Bisset, the attractive locations of San Francisco, the muscle of a Ford Mustang, and the thrills of prolonged, legendary car chase. Yet somehow, all the pieces of the jigsaw do not make a complete picture. San Francisco Police Lieutenant Frank Bullitt (McQueen) is personally selected by sleazy politician Walter Chalmers (Robert Vaughn) to protect Senate Sub-Committee witness Johnny Ross, who is stashed in a dumpy motel waiting to give testimony that will damage a Chicago criminal syndicate. 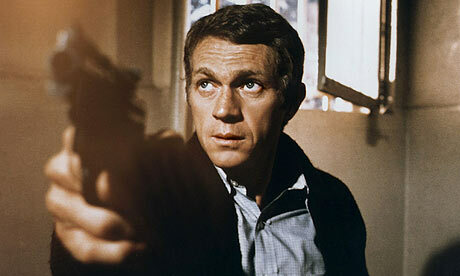 Bullitt and his team are too easily penetrated; Ross and a member of the police protection team are severely wounded. Bullitt soon realizes that all is not what it seems, and that the real Johnny Ross has no intention of testifying and may be faking his own demise to escape once and for all from his criminal ex-partners. With two innocent people dead and two assassins blown up at the end of a car chase, Bullitt tracks down the real Ross for a final confrontation. Director Peter Yates struggles with a lightweight script that relies too much on style at the expense of any character and dialogue sharpness. Sure, McQueen and Bisset look great, but they really have almost as much to say as the Mustang and the streets of San Francisco -- that is, very little. Not having much character-driven drama to work with, Yates does the next best thing by keeping the camera work and framing interesting and highly kinetic. He delivers the rightfully highly-regarded car chase between McQueen's Mustang and the bad guys in a Dodge Charger. A total of 16 cylinders and more than 700 horsepower roar around - and often fly over - the insanely steep streets of San Francisco, burning rubber and smoking tires in a scene that set the standard for all future serious movie car chases. And Yates ends the film by taking the action to San Francisco Airport for an elongated and almost dialogue-free climax, including Bullitt and Ross crossing active runways and mingling with giant jets getting ready for take-off. But even by thriller movie standards, Bullitt has massive plot holes. Why do the assassins not finish-off the fake Ross and his protection detail at the motel? Why do the assassins decide to run from Bullitt to instigate the car chase -- when they were the ones tailing him? How exactly does Bullitt uncover the destination of the phone calls that were made from a phone booth? Just by going to the same phone booth? At the climax, why does Ross give away his location in the airport ditch by firing at a very distant Bullitt? And why is there a massive line-up and ticket-check to leave the airport? And can Bisset's character really be that clueless about the life of a police lieutenant? Does she not go to the movies? Bullitt also suffers from the "unkonwn villain" syndrome, where the focus of the chase continuously shifts and finally lands on an unknown henchman from Chicago. Since the movie gives us very little reason to know or despise the mysterious Johnny Ross, a lot of the tension steadily seeps out of the film's final 30 minutes. 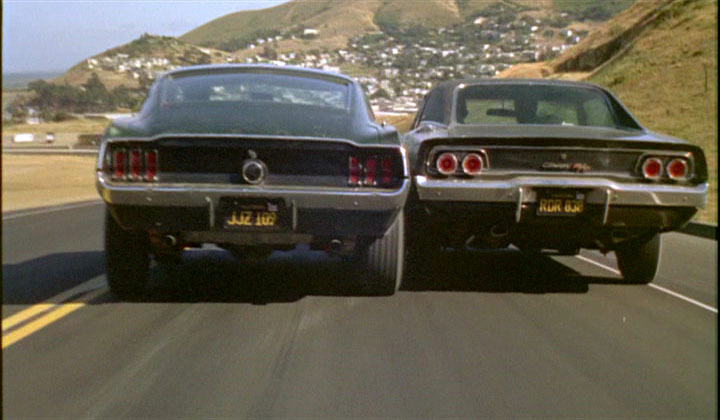 Ultimately, Bullitt is all about the visuals, but beneath the admittedly shiny surface, there is little substance.